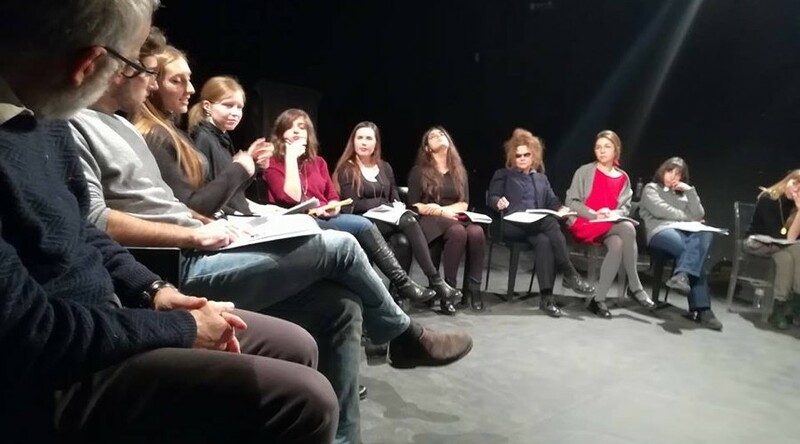 Here we publish some pictures about Romanian Fabulamundi National Playwrights Meeting in Bucharest on 14th and 15th December 2017. Here are some photos of the workshop edited by Francesca Garolla, on the text of the Romanian author Roxana Marian "Medeea or About domestic happiness". 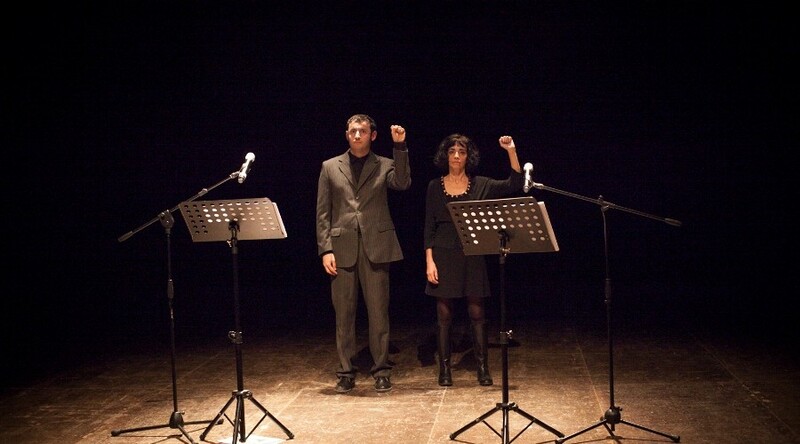 The workshop was held on December 20th at the Theater i in Milan, investigating the path that leads a text written to his staging. 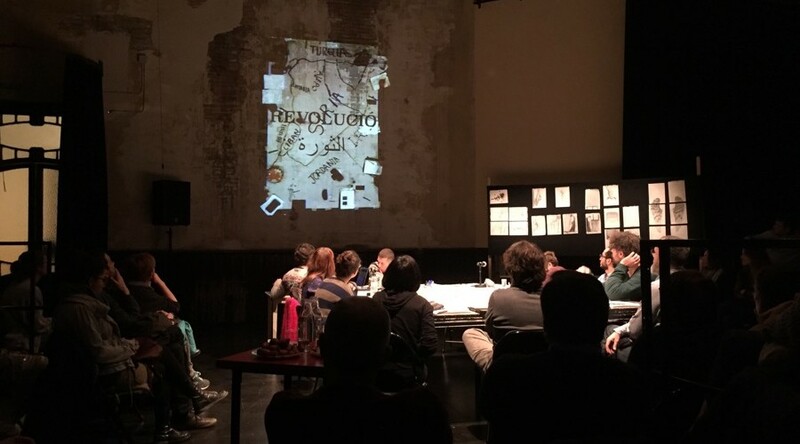 This photogallery collects some pictures about the presentation "Síria: cartografia incompleta" on 16th December 2017 at Sala Beckett in Spain. 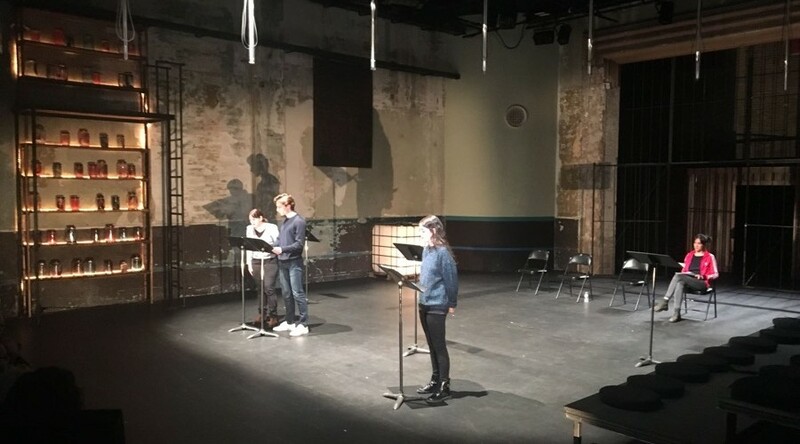 Spanish authors Victoria Szpunberg, Helena Tornero and Joan Yago worked with Syrian immigrants recently established in Barcelona. 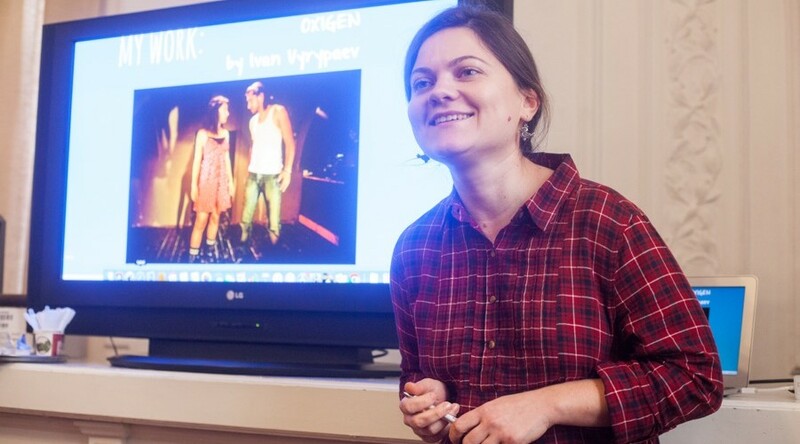 In this photo gallery there are images of the final day of the Workshop for Beginners (non-professionals) taught by the Spanish author Marc Artigau with the reading of a theatrical text. The activity took place from 10th October to 12th December 2017 at Sala Beckett in Spain. Here we publish some pictures of the workshop lead by the German director Werner Waas for the students of the secondary school "Vincenzo Arangio Ruiz" in Rome on 12th December 2017. 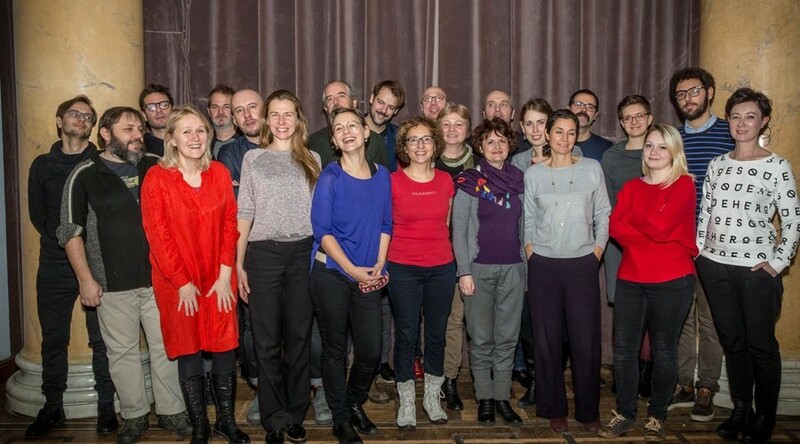 Here we publish some pictures about Fabulamundi National Polish Playwrights Meeting (on 28th and 29th November 2017). 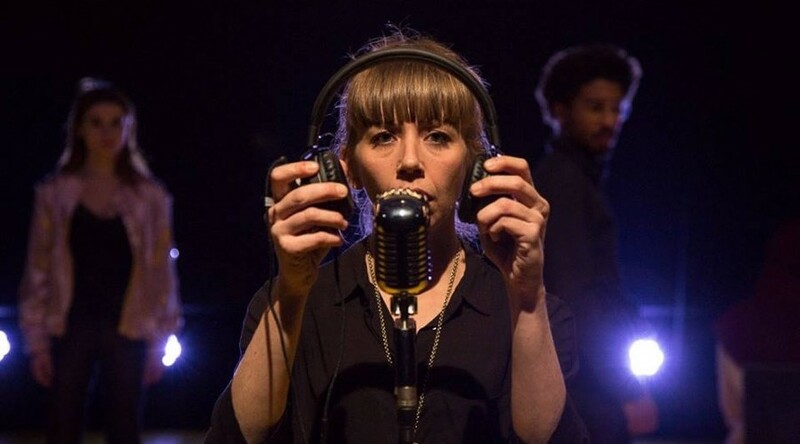 Here we publish some pictures about the Workshop for playwrights with translators on 16th November 2017 at Sala Beckett, in Spain. 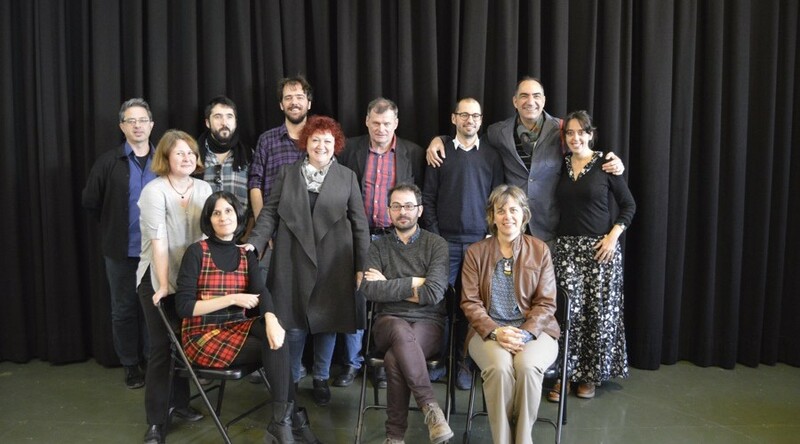 Carles Batlle, Clàudia Cedó, Guillem Clua, Esteve Soler, Victoria Szpunberg, Helena Tornero and Joan Yago worked with a group of translators from Catalan/Spanish into other languages to acquire skills of how to promote themselves into other countries.